Finally a deal for geeks! 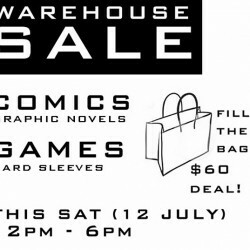 Join Paradigm Infinitum's warehouse sale at eunos warehouse, fill your bag with any comic books you can squeeze in and grab it for only $60! Sounds like a whole new way of warehouse sale isn't it?